Fans of actress Ankita Sharma have a reason to rejoice, as she will soon be back on TV with yet another plump role. After winning over the audiences’ hearts as the lead of Amrit Manthan, Ankita will now be seen as the negative lead in Colors’ upcoming show Rang Rasiya. Yes, you heard it right!! Tall and dusky Barkha Bisht was the first choice for this pivotal character in this Nautanki Telefilms show. But now it looks as though Ankita has walked away with it at the last minute. A source tells us that the character, that of Laila will be bold and daring. She will be something like a Rekha in the movie Muqaddar Ka Sikandar who is devoted to the male lead (Ashish Sharma). She will have strong negative shades to portray. We tried contacting Ankita, but she remained unavailable for comments. Ankita came into the limelight with her first lead role in Sony TV’s Baat Humari Pakki Hai. Our efforts to reach Producer Saurabh Tewari proved futile. The shoot of Saurabh Tewari’s much-expected show on Colors ‘Rang Rasiya’ kick-starts in Jaisalmer, Rajasthan amidst great expectations. 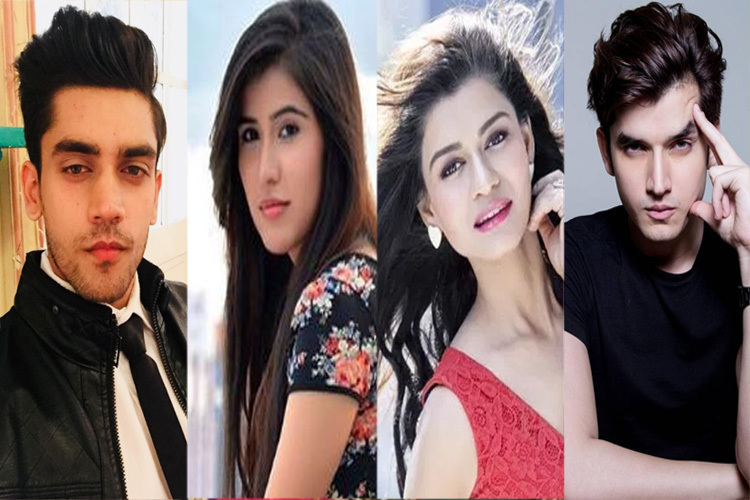 And as our readers would know, Tellychakkar.com has been constantly reporting about the rich cast that is being added to the show, produced by Nautanki Telefilms with every passing day. Recently, we wrote about Vishal Gandhi being roped in for a promising role. And now we have the news of veteran actor Ajay Rohilla playing a very important cameo role in Rang Rasiya. Rohilla was last seen playing a cameo in Star Plus’ Pyaar Ka Dard Hai Meetha Meetha Pyaara Pyaara. As per sources, he will play a character who will create all the drama and thereby thicken the plot with some unusual twists and turns. Ajay Rohilla and Kali Prasad Mukherjee will play fathers of the two leads in the show, is what we get to hear. Another important name that we hear is of senior actor Atul Srivastav’s. Sources inform us that talks are presently on with the actor, and if things go as planned, he will essay a fatherly role, yet another important character in the story line. Atul Srivastav was last seen in Zee TV’s Afsar Bitiya. We tried contacting Ajay Rohilla, but he remained unavailable for comment. Rang Rasiya premieres on 29 December on Colors. Actress Neha Narang who has done shows like Sasural Genda Phool, Shubh Vivah, Phir Subah Hogi has bagged a meaty cameo role in Saurabh Tewari’s upcoming show for Colors, Rang Rasiya. The actress will play a power-packed role, and will be the best buddy of the female lead, essayed by Sanaya Irani. When contacted, Neha told us to call her later. Tellychakkar.com has been exclusively reporting about Tarun Khanna, Sadiya Siddiqui, Ananya Khare bagging pivotal roles. As readers would know, Ashish Sharma and Sanaya Irani play the leads. Tellychakkar.com has been constantly reporting about BAG Films and Nautanki Telefilms’ latest offering Rang Rasiya. And here we get you one more name that has been added to the cast. Well, the latest artiste to be a part of this political drama is Syed Zafar Ali, who was last seen as an inspector in Zee TV’s Punar Vivah- Ek Nayi Umeed and as a commando in Colors’ 24. The show will have Syed play a BSF Major. As a matter of fact, he will be the one to rope in Ashish Sharma (the lead of the show) in his team. Earlier, Syed has majorly done cameos, but this time he plays an extended role. As reported earlier, Sanaya Irani, Ananya Khare, Tarun Khanna and Sadia Siddiqui are also a part of this project. Tellychakkar.com has been exclusively reporting about Nautanki Telefilms’ upcoming show Rang Rasiya on Colors. With big names Ashish Sharma, Sanaya Irani, Barkha Bisht, Tarun Khanna, Ananya Khare being on board, the makers have now roped in yet another powerful performer in Sadiya Siddiqui. Sadiya, who was last seen portraying the very sensitive yet strong character of Radha in Star Plus’ Sasural Genda Phool, will play the rich and classy Rajmata in Rang Rasiya. If sources are to be believed, Sadiya will play a poetess and painter, a lady who has a lot to give and is passionate about many things. She will marry a person who has the least of interests to her passions and thus, ends up having a troubled marriage.